Dilip Rasiklal Doshi pronunciation (born 22 December 1947, Rajkot, Gujarat) is a former Indian cricketer who played in 33 Tests and 15 ODIs from 1979 to 1983. Doshi is one of only four Test bowlers that played their first Test after the age of thirty, yet went on to take more than 100 wickets, the other three being Clarrie Grimmett, Saeed Ajmal and Ryan Harris. 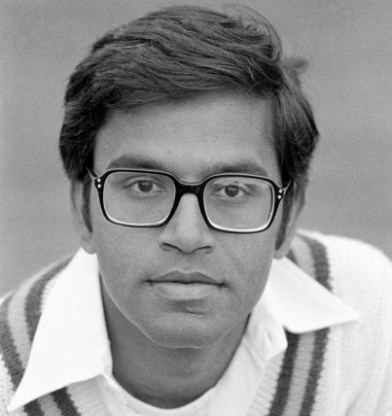 Doshi was already in his 30s when he made his test debut (At Chennai, against Australia 11–16 Sep 1979). Having waited for so long, he didn't waste any time in making his presence felt. With figures of 6/103 & 2/64 he was India's best bowler in the match. He continued to perform well in the series and in the final test match at Bombay, he was one of the heroes of an India victory with figures of 5/43 & 3/60. But perhaps, his greatest joy came, when he took 4/92 at Eden Garden, Calcutta, his (adopted) home town, in front of 70,000 strong crowd. After this series, Doshi's place in the Indian Test team became permanent. Unfortunately, in the next few years Doshi failed to emerge as regular match winning bowler in the international level. He was accurate and consistent, but failed to show the killing instincts. His only match winning effort after the Aussie series came at Bombay, against England, in 1981–82. His 5/39, helped India gain a vital first innings lead in a low scoring match. The emergence of Maninder Singh in 82–83 season hastened the end of Doshi's test career. Doshi is considered one of the worst batsmen in Test cricket history, with a batting average of only 4.60. Doshi holds the record for the most Test Match innings in a career without ever batting above someone else in the order, with 38 innings batting at number 11 in the order. 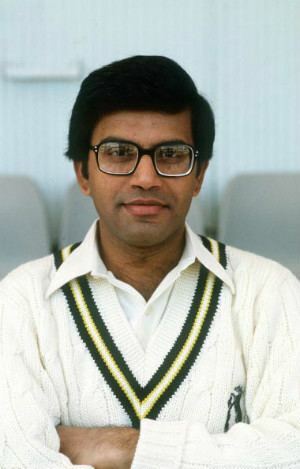 Doshi made his ODI debut during the 1980–81 tour of Australia. At Gabba, against NZ, he produced his best figures of 4/30. Both his average 23.81 and RPO(3.96) in ODIs are impressive. But, he wasn't the most mobile of fielders, and with him being a real rabbit with the bat, he played only 15 ODIs for India. All-rounder Ravi Shastri was preferred to him for the 1983 WC. Though Doshi made his first Class debut with Saurashtra, he played most of his Ranji Trophy cricket with Bengal. It was for Bengal that he achieved the remarkable figures of 6 wickets for 6 runs against Assam in 1974. Overall, his long Ranji Trophy career shows 318 wickets at an impressive average of 18.33. He also played first Class cricket for Nottinghamshire and Warwickshire in the English midlands. Overall, his first class career shows 898 wickets at 26.58 a piece. In March 1983, he led a West Bengal side for a short tour of Dhaka. In the 3-day match, he led his side to an emaphatic win with figures of 7/39 & 5/74. The guile of his spin was too much for the Bangladeshi batsmen. He took 3/27(from 9 overs) in the 45 over match. Throughout the late 1960s and 1970s, three left arm spinners dominated the Indian domestic cricket scene. Along with Doshi there were, Padmakar Shivalkar from Bombay, & Rajinder Goel of Haryana & Delhi. Goel still holds the record for the highest number of wickets in the Ranji Trophy (640 at 17.14). Shivlakar holds the record for his team Mumbai. Years after years, they destroyed strong batting line ups in Indian cricket with the guile of their spin, only to be overlooked by the national selectors. The only reason was the presence of B.S. Bedi. With a world class left arm spinner readily available, the selectors were reluctant to give the others much chance. Thus, Shivalker and Goel had to content themselves with a few unofficial test matches against Sri Lanka. Goel was specially unlucky, in the sense that he was originally selected to make his official Test Debut against WI at Delhi, in 1974–78. But a last minute change saw off spinner Venkat replacing him. Doshi, in that sense, can be considered to be the luckiest; at least he got the chance to represent India in full internationals. Nevertheless, he too lost the best years of his playing career waiting for his chance to come. As of 2006, he is the managing director of Entrack India, a firm that markets Montblanc pens in India. He is the father of Nayan Doshi.